Let Me Help Your Booth Stand Out in a Crowd! Exhibit Surveys Inc., pioneers in the field of exhibition and event research, have established metrics that have become industry standards and their research consistently shows that trade show magicians are one of the best ways to attract qualified traffic to your booth blah blah blah zzzzzzzz *snort*. 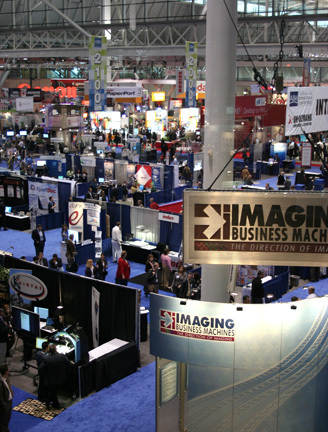 Look, I'm a trade show veteran and I'm proficient in corporate double-speak. I can quote statistics and metrics with the best of them but if you're the person tasked with putting together your company's presence at the next trade show then we both know what's important: Making the first five seconds when they glance at your booth interesting enough that they spend the another thirty seconds to learn what it is you're selling (or at least what kind of swag you're giving away). That's where I come in, performing eye catching, mind boggling mentalism that will stop show attendees in their tracks long enough to sink the hooks in. I'll coordinate with your sales team before the event to ensure that together we deliver a strong message on the day of your show. Count on me to create and deliver memorable entertainment based on your brand and products that is both informative and on point. Like the pitch men of old, I'll stop them in their tracks and get them into your booth. Running a lean display? Staff overwhelmed? I can help there too by creating a lasting memory of your product or service, explaining it in an entertaining fashion that will have your phone ringing in the weeks that follow. We also work with experienced booth attendants who can collect swipes and handle initial contact thus freeing up your sales staff for the real dealing. I've been doing this a long time and I know what kind of magic best sells corporate messages. No room in the booth? No problem! I'll work with your sales team as a creative consultant and teach them to boost their own traffic. Contact me today to find out how to achieve the results necessary to successfully raise your bottom line. Joe, I had to write to tell you how much we love and hate you here. You kept a non-stop flow of business coming into our booth but you were killing us man. We were looking forward to your breaks so we could catch our breath! I know that's good for business but next year I'm going to personally make sure you take ALL your breaks so you don't kill us. Seriously, it was really impressive how quickly you picked up on what we were telling people and integrated it into your act. There's no doubt your name should be on a lot of those sales slips. Jim also commented on how you seemed to know who to focus your attention on and who was just looking for giveaways which was good. You made a real difference and I'm glad we booked you again for next year.